What could be better than experiencing the Cornish countryisde whilst enjoying delicious, locally sourced produce, including locally baked scones, Trewithen Dairy clotted cream and Boddington’s Berries strawberry jam – all served at your seat in our first class dining train. After a glass of something sparkling when you board, you’ll enjoy a selection of sandwiches, cakes and a cream tea with tea and coffee. Trains depart in the afternoon and travel the whole length of the line, which will take around two hours. 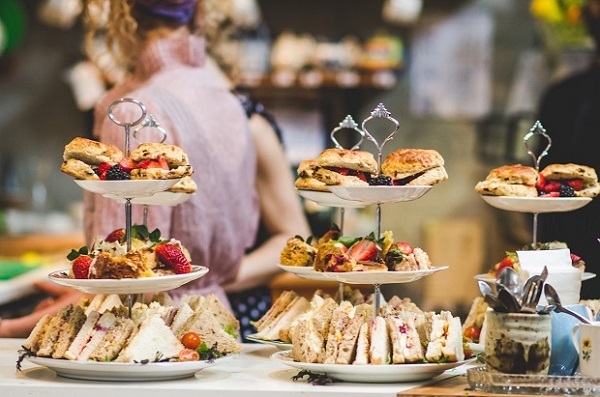 Our Cornish High Tea Trains depart at 3:45pm – please ensure that you arrive 30 minutes early in order to collect your tickets and board the train before departure. 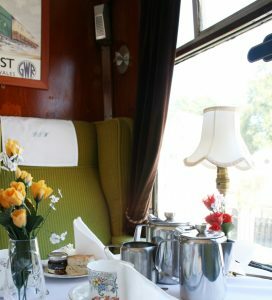 Your ticket includes a locally sourced high tea (including sandwiches, scones, tea or coffee and a glass of wine with adult tickets) and a two hour journey on a steam train, taking in the full length of the line. Please call 01208 73555 or book online.